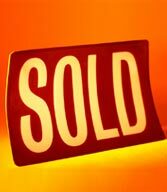 Thinking of Selling your home or property? Choose the Best REALTOR, Real Estate Company; Frank Ward, REALTORS. Deciding to put your house on the market is a big deal. And no matter how nice your property may be, a house won't necessarily sell itself! A good real estate company makes your selling process as easy as possible. The smoothest real estate property sales happen because you have a skilled, dedicated and knowledgeable REALTOR along with a EXPERIENCED real estate company. At FRANK WARD, REALTORS, we deliver service and first-class selling experience! We have been in business for 54 years. 1964- 2018 Must be doing something right. Let us help you. Your interests remain at the forefront throughout the whole selling process. You’ll have our years of experience on your side. Email FRANK WARD, REALTORS at info@frankwardrealtors.com or just call 919-688-5811. We are always ready to answer any questions that you might have about selling in Durham. WE WANT YOUR BUSINESS! 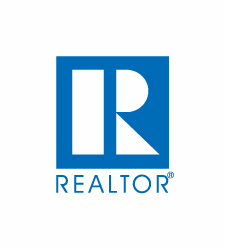 Frank Ward, REALTORS, We are a Professional, full service real estate Company, well-connected in the Durham community, we strive to get the best price for your home or property. It's easy to grab the first real estate agent you come across, but selecting the best real estate company and REALTOR takes planning. Here are just some of the ways that Frank Ward, REALTORS can be the right real estate agency for the sale of your property. Your house is our marketing priority, and we will make sure it gets the attention it commands in all available markets, even nationally. Most agents in the Durham, Raleigh, Chapel Hill, area will know about your home, Via, websites, TMLS, and real estate publications. Plus the many websites we are affiliated with. We analyze listings daily and we can help you figure out exactly what your home should sell for and get the best offer possible. Buyers will see your home in top selling condition, and we can recommend ideas and changes to prepare your home for sale and even help with staging your home for Open House events.